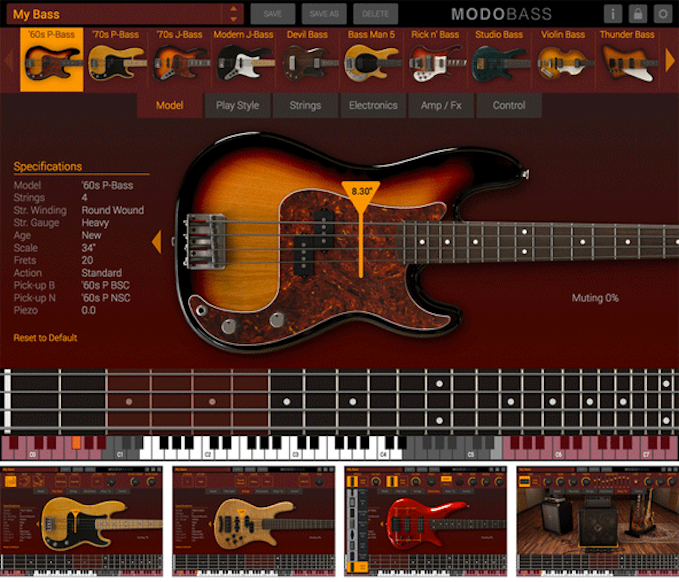 MODO BASS from IK Multimedia, brings a new level of realism and playability to virtual bass instruments. MODO BASS is a completely customizable physically modeled virtual bass that recreates the electric bass and how it’s played – from the physical instrument and everything that makes it sound the way it does, to how the instrument is played and its sonic performance, to the entire sound signal chain – no detail is left out. Developed in collaboration with one of Europe’s oldest universities, MODO BASS utilizes a breakthrough technology to breathe life into bass tracks. Unlike traditional sample-based virtual instruments, MODO BASS utilizes modal synthesis technology and an ultra-optimized sound engine to model each string as a nonlinear resonator where the string’s acoustic behavior is determined by its physical parameters as well as by the interaction of the string with fretboard, body and pick-ups of the instrument. The action of the player is then modeled as a nonlinear physical interaction with certain areas on the string surface. Then using IK’s cutting edge analog modeling expertise, the amp and effects rig of the electric bass is added to the sound chain. The foundation of MODO BASS is a collection of 12 physically modeled iconic electric basses that span the history of bass sound in recorded music – more bass models than available in most other virtual instruments. Bass models include “60s P-Bass” based on an Alder body ’60s era Fender Precision Bass®, “70s P-Bass” based on an Ash body Fender Precision Bass®, “70s J-Bass” based on an Alder body Fender Jazz Bass®, “Modern J-Bass” based on an Ash body Fender Jazz Bass®, “Devil Bass” based on Gibson® EB-0, “Bass Man 5” based on Music Man® StingRay 5-string, “Rick n’ Bass” based on Rickenbacker® 4003, “Studio Bass” based on Yamaha® RB5, “Violin Bass” based on a Hofner® Violin Bass, “Thunder Bass” based on a Gibson® Thunderbird, “Japan Bass” based on an Ibanez® Soundgear, and “Flame Bass” based on Warwick® Streamer. Every detail of each bass has been meticulously analyzed and modeled to capture the true sonic character of the original basses – the shape and type, the wood used for the body and neck construction, the hardware components like bridge and tuners, the original onboard electronics and controls – every aspect and detail has been modeled and recreated to provide the highest degree of sonic authenticity of the original. But the sounds available with MODO BASS extend far beyond the 12 modeled basses; with the available customization features, users can craft virtually every electric bass sound imaginable. MODO BASS is able to produce an unlimited palette of bass sounds because everything can be customized. Unlike other bass instruments, users are able to adjust and personalize each aspect of the instrument that contributes to its tone profile – playing style, strings, pickups, pickup placement, electronics, tone settings, action, stomp box effects and amp settings. The combination of these customization options opens up a limitless universe of bass sound covering every imaginable and desirable tone. And just like a real bass player, every expression and interaction with the instrument will be unique. 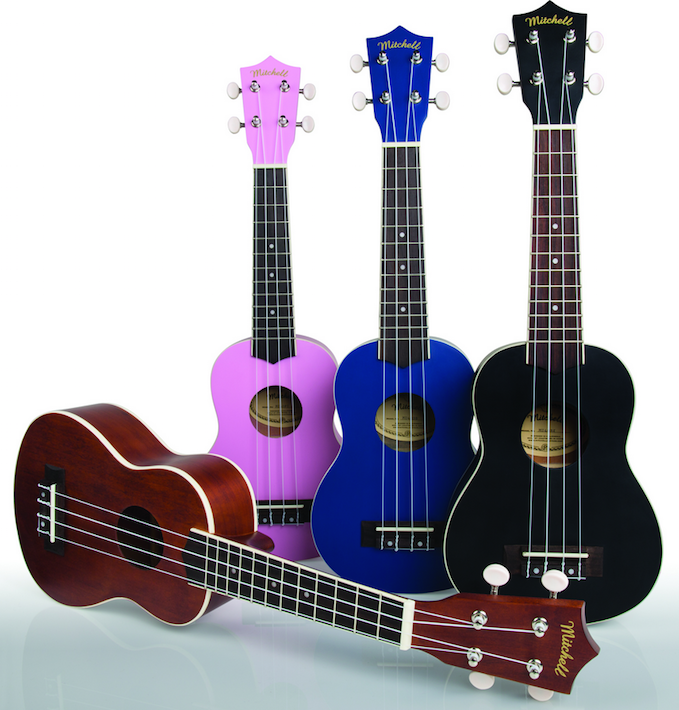 Once the bass instrument has been selected, players choose from 3 playing styles – pluck, slap or pick – and control how each playing style influences the tone of the instrument; the force applied to the strings, the position of the hand, the direction of the stroke, the fingers used to play the instrument and how the strings are approached, the impact of the thumb slap and the finger pull on the string and even the thickness of the pick and style of its attack. Every aspect of playing style has been studied and modeled to provide its unique impact on tone. The strings are one of the most important contributors to tone, so IK painstakingly studied and recreated all of the factors that affect it. Players can choose the number of strings to define the tonal range of the bass, the construction type and material of the strings (round or flat wound), the gauge and age of the strings, plus the physical action height of the strings above the fretboard. 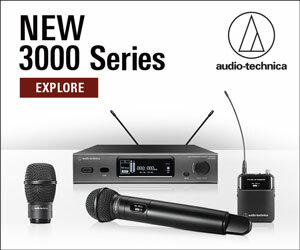 Each of these options contributes its own character to the output of the bass and introduces realism never before heard in a virtual instrument. Players can also completely customize the onboard electronics of the bass. There are 20 iconic bass pickups from which to choose that can be freely interchanged and added to the instrument – up to 2 pickups per bass. Users can change the type of pickups used, neck or bridge single coil or humbuckers, and their physical location under the strings can be moved freely for unlimited playing and tonal variations – a feature virtually impossible in the physical world. Each pickup has its own volume control and is also controlled by a global tone control. MODO BASS also gives players the ability to mix in the sound of an under-bridge piezo pickup for added resonance and top end. Switching from Passive to Active electronics option also enables a 3-band parametric EQ to fine-tune the pickup output tone. With MODO BASS, players have full control over the signal path and get 7 bass stomp boxes and two classic bass amplifiers derived from IK’s AmpliTube flagship software. Stomp box effects include an Octaver, Distortion, Chorus, Compressor, Delay, Envelope Filter or Graphic EQ. Each stomp box gives players full control over the effect applied to the signal, parameter adjustment and overall output volume into the next effect. Players can also choose from a classic all-tube amplifier and 1×15 cab, or a powerhouse solid-state model with a 4×10 cab. Each amp provides full control over gain structure, EQ (with mid-frequency adjustment on the tube amp), and additional fine-tuning options with a graphic EQ. There is also a global bypass feature that allows for bass signal routing from MODO BASS into another amp effects modeling suite like IK’s AmpliTube Custom Shop, opening up a whole new world of sonic options for bass tone shaping and effects. 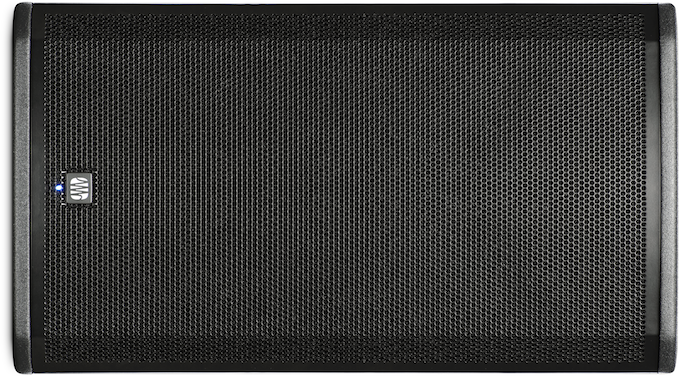 MODO BASS also provides MIDI control of critical parameters that can be automated in real time. With the MIDI Control section, players control and adjust the application of vibrato, the playing style, the application of Mute technique and the amount of slide technique applied while playing. 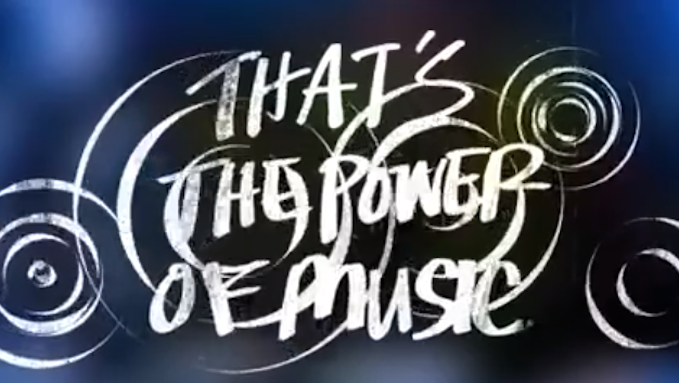 The frequency of the vibrato, the amount of the bend, plus the amount of slide and detach noise while playing can all be controlled in real time on the fly. Keyswitching in MODO BASS allows players to switch on the fly between chord mode and note mode, the type of stroke used for playing, the fingers used and the method of playing, which provides the ability to completely customize the sound in real time. MODO BASS for Mac/PC is available now for pre-order from the IK Online store at a special introductory price of $/€149.99**.